Notre Dame’s Cassie Schaefer was a second-team All-Ohio honoree during her sophomore year. She’s started her junior season with 47 strikeouts in 36 innings pitched. Notre Dame’s Cassie Schaefer throws a runner out during a scrimmage against Unioto on March 20. Schaefer is 6-0 this season with a 0.19 ERA. PORTSMOUTH — Cassie Schaefer has been a name known around softball circles for quite some time now. Notre Dame’s flamethrowing pitcher has built a reputation around silencing opponents’ bats, letting her defense work behind her and staying calm in pressure-filled situations. Last season, her sophomore year, Schaefer earned a second-team All-Ohio nod after leading the Titans to a Division IV district final appearance. And, just when you thought she was at the top of her game, she’s seems to have only gotten better over a lengthy offseason. Schaefer has started her junior year with a 0.19 ERA in 36 innings pitched. Her 6-0 record in the circle comes with 47 strikeouts, compared to just 20 hits allowed — 10 of which came in one outing. Behind their star hurler, the Titans sit at 8-0 overall with a 4-0 record in the SOC I. So far, with the engine running smoothly, Schaefer and Notre Dame have been nothing short of spectacular. If you’re tallying a total, the Titans have outscored their opponents 77-11 this spring. Four of Schaefer’s six outings have resulted in shutouts — 15-0, 15-0, 1-0 and 12-0. But if you’d ask Schaefer, that hasn’t come about because of her talents only. It’s her defense, and friends, behind her in the field who have made that happen. Still, to toss four shutouts in your first six outings and to beat teams like Symmes Valley, Circleville and Ironton over that time, is no easy ask. Schaefer says the key to those victories, and really, every victory, has been a clear mindset. And distractions? She’s never heard of them. Her laser focus allows her to put on blinders. Notre Dame has beaten Symmes Valley and Eastern Pike twice to start their conference slate. Those wins are nice to have under their belts, but the Titans are certainly keeping an eye out for Clay — a team that also sits at 8-0 with impressive wins on its resume. The Titans and Panthers square off on April 11 and April 22. Putting Clay aside, Notre Dame has goals it wants to accomplish this season. Schaefer is at the center of that movement. The ceiling for this year’s team is the sky. But it can only focus on the task at hand. One step at a time. Slow and steady wins the race. 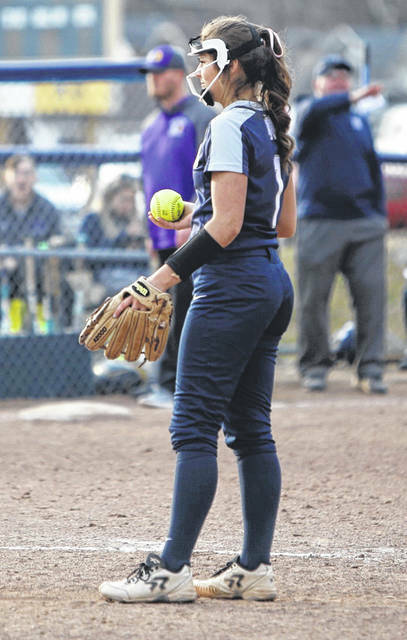 https://www.portsmouth-dailytimes.com/wp-content/uploads/sites/28/2019/04/web1_schaefer-pitching.jpgNotre Dame’s Cassie Schaefer was a second-team All-Ohio honoree during her sophomore year. She’s started her junior season with 47 strikeouts in 36 innings pitched. 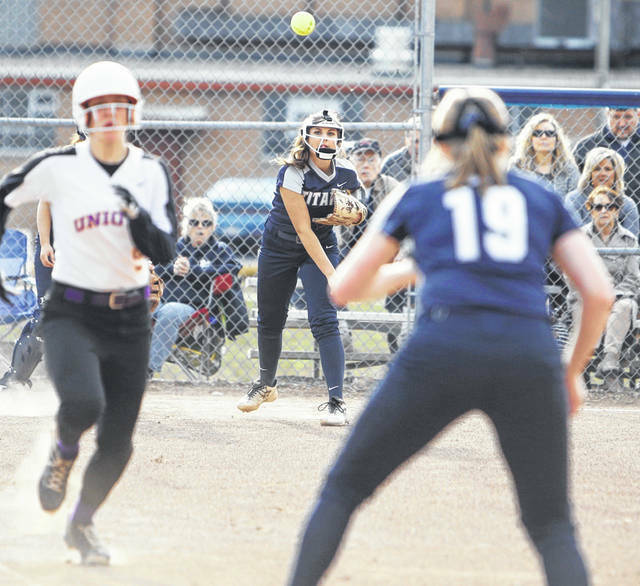 https://www.portsmouth-dailytimes.com/wp-content/uploads/sites/28/2019/04/web1_schaefer_runner.jpgNotre Dame’s Cassie Schaefer throws a runner out during a scrimmage against Unioto on March 20. Schaefer is 6-0 this season with a 0.19 ERA.